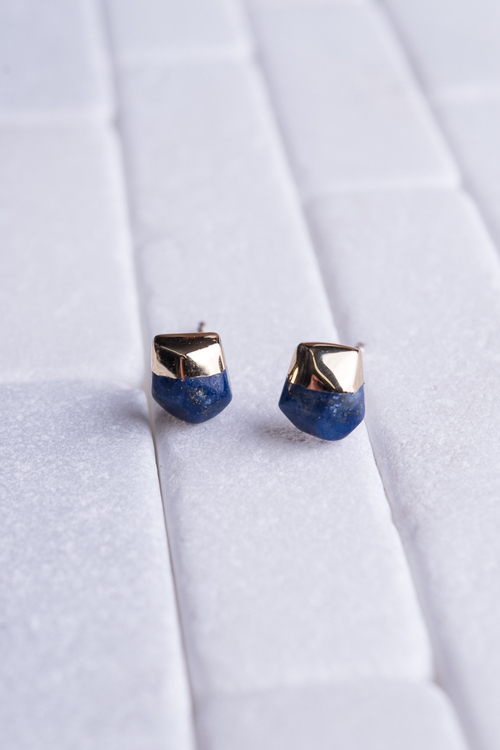 Awaken your spiritual knowledge and wisdom from within with the help of Lapis. Each stone is unique and will vary in color and size. 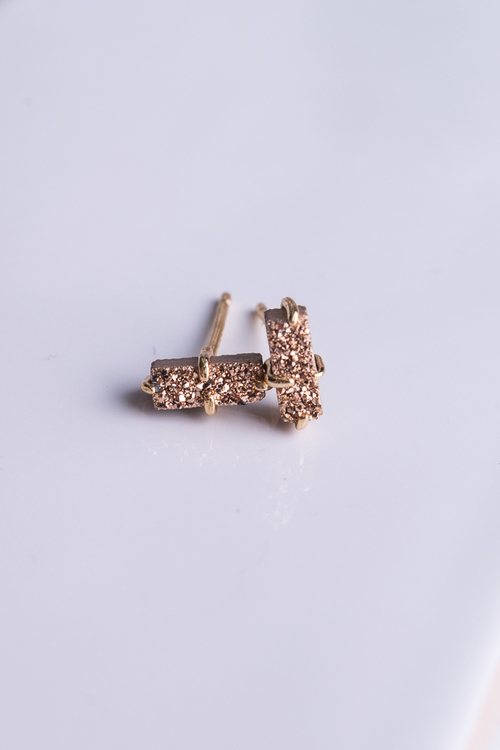 Set in a sterling silver post and dipped in 18K gold. 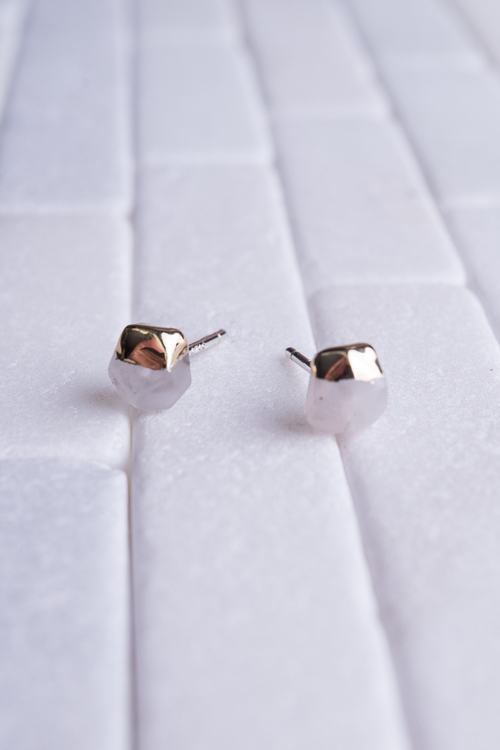 Handmade with sterling silver posts and dipped in 18 karat gold. 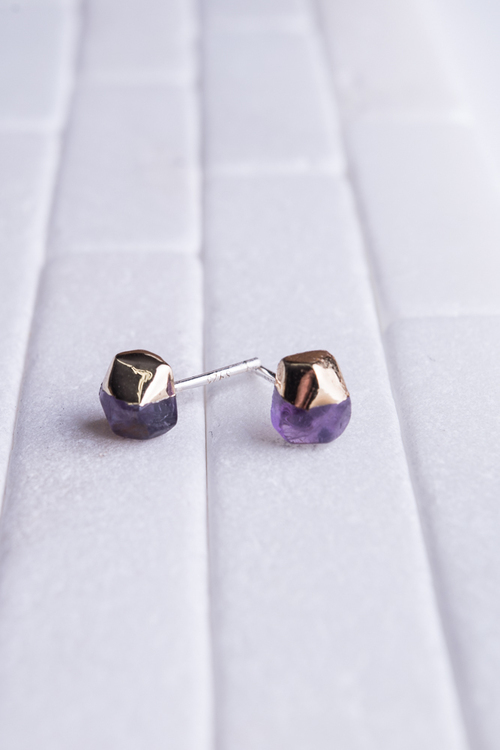 The colors and sizes vary naturally, so no two studs will look the same. 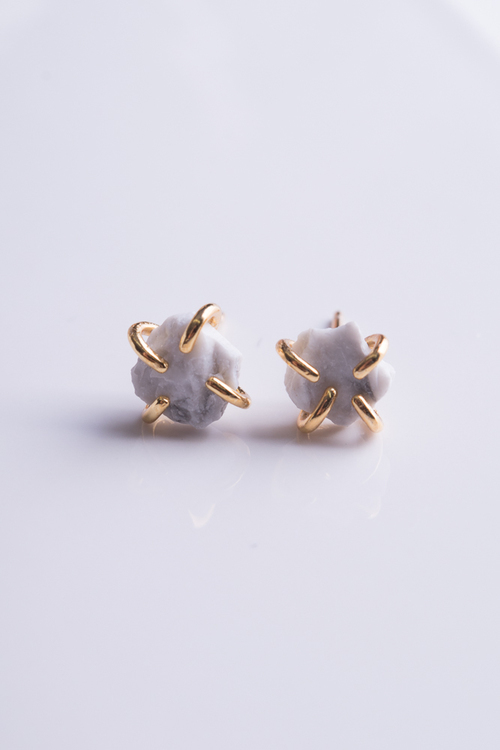 White Howlite is a calming stone that relaxes an overly critical state of mind, and decreases stress and anxiety. Handmade by Native American Tribes located in New Mexico & Arizona featuring a sterling silver setting with Turquoise stones. The simplistic teardrop design makes this set a timeless piece. 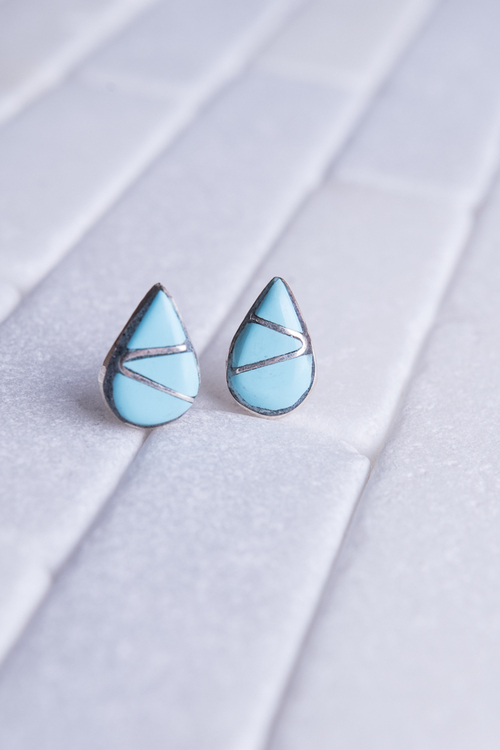 Known for its beauty and protective energy, Turquoise heals and protects the body while keeping you grounded.